"In many shamanic societies, if you came to a medicine person complaining of being disheartened, dispirited, or depressed, they would ask one of four questions. When did you stop dancing? When did you stop singing? When did you stop being enchanted by stories? When did you stop finding comfort in the sweet territory of silence?" 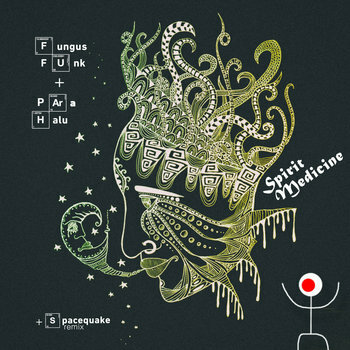 Fungus Funk & Para Halu 's new collaboration track called Spirit Medicine is a tribal stomper for the 21st century psychedelic generation... featuring two altered versions by Fungus Funk and Spacequake (Adam's psybreaks alterego for crazy broken beats). Written and produced by Sergey Prilepa (Fungus Funk) and Adam Hohmann (Para Halu, Spacequake).